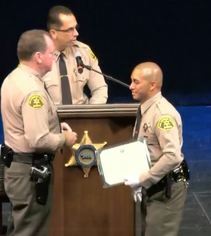 A Los Angeles County sheriff's custody assistant has been released from treatment for injuries she suffered after being taken hostage by a man she was booking into jail last week, officials said Monday. A carjacking suspect was chased by sheriff’s deputies Thursday before he crashed into several vehicles and fled into a mobile home community in the Santa Clarita area, authorities said. Although the odds of being involved in such an event are low, the sudden, catastrophic nature of these attacks requires that individuals, schools, workplaces, and public areas think in advance about how to respond. The event took place on August 11, 2018, in the parking structure of the UFC Gym 8920 Glendon Way, Rosemead. Deputy personnel from our Court Services Transportation Bureau (CST) faced off against members from the UFC Gym Rosemead. There were food, games and raffle prizes at the event. Authorities are asking for the public's help to identify a hit-and-run suspect responsible for killing a pedestrian in Lancaster earlier this month. 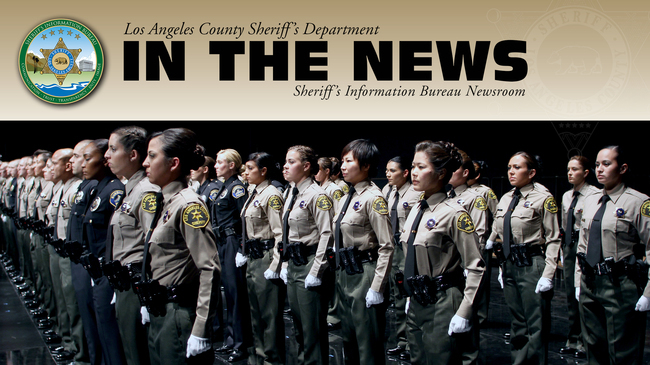 Academy Class 430 claims a vastly international collection of backgrounds, reflective of the vast array of cultures found within LA County. Of the 71 graduating recruits, nine were born outside the United States in the countries of Armenia, El Salvador, Guatemala, Indonesia, Mexico, Nigeria, and the Philippines; ten recruits lived abroad in the countries of Armenia, El Salvador, Indonesia, Mexico, and the Philippines; and 33 speak a language other than English, including Armenian, Bahasa, Russian, Spanish, Tagalog, and Ukwani.